1. 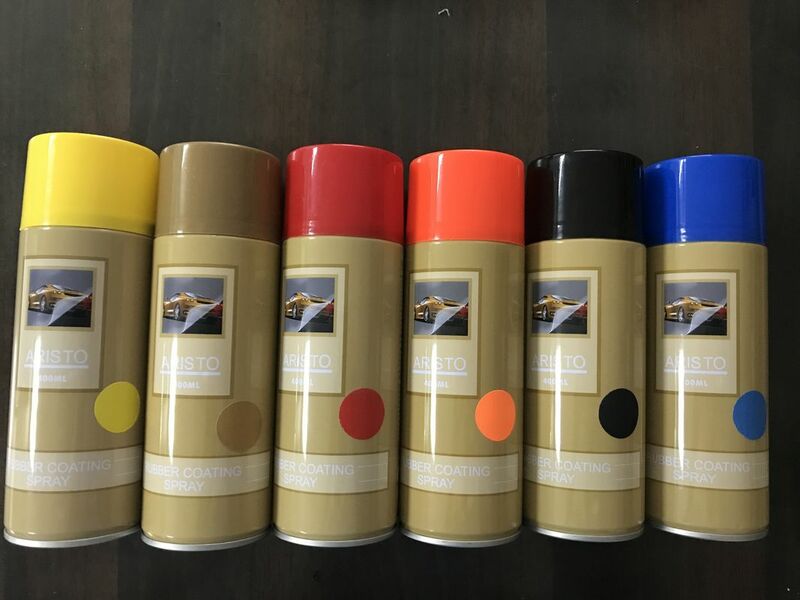 Aristo water based peelable rubber paint is designed for protecting various surfaces such as glass, plastic, metal, ceramic, wood from paint overspray, scratch, abrasion, diry, water. 2. Aristo water based peelable rubber paint is designed for decorating car body, wheel etc.. Changing the color and no harm for surfaces. 3. Aristo water based peelable rubber paint can last more than 12 months. 4. Aristo water based peelable rubber paint is eco-friendly and harmless to human beings. 2. Harmless for human beings and surfaces. 2. Shake can for 1 minute after ball rattles. 3. Apply 2-4 coats to achieve a min wet film thickness, the tack-free time is 45-90 mins at room temperature, it can be removed after it is cured easily by hand peeling.